I have recently finished a convincing argument that alleviates - if only temporarily - my attempts to seek to identify a singular literacy pedagogy. Visitors to this site will be well aware of my struggle to resolve two images of literacy pedagogy, a conflict which is also apparent in the tension between Wittgenstein's early and later conceptualisations of language. These two images are commonly represented by such dichotomies as practice in print-based skills vs (oral) language development (Aaron et al, 2008); word recognition vs (word) meaning (Chall, Jacobs & Baldwin, 1990); formal practices vs informal practices (Senechal, 2006); or constrained skills vs unconstrained skills (Paris, 2005; Stahl, 2011). 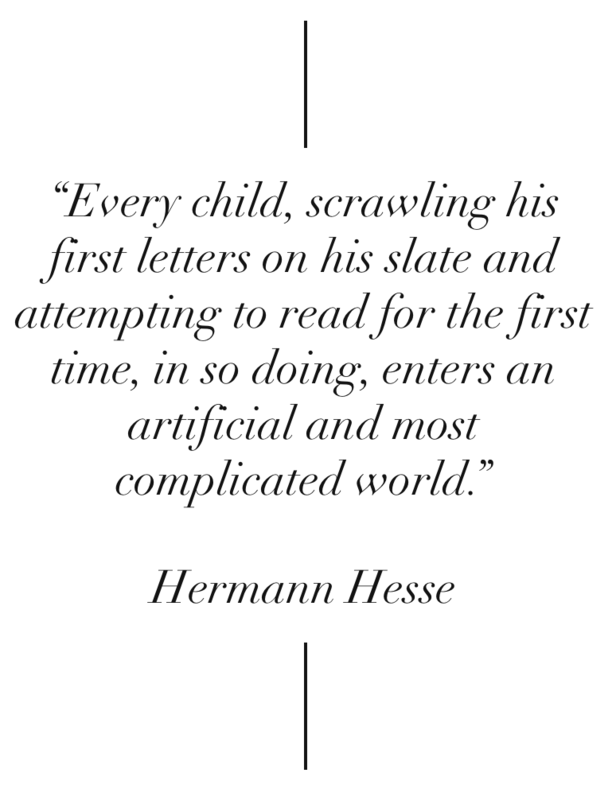 In short, fostering literacy requires that one is adept at systematically reinforcing the core, constrained skills of literacy (to the point of mastery) so that fluency is attained and higher order thinking can be facilitated, whilst providing rich opportunities for students to gain and express meaning in multiple knowledge domains and modes through scaffolded speaking, listening, reading and writing. In my earlier writing, I suggested that such a teacher must be both systematic and expansive, that the literacy pedagogy must be both intensive and extensive, that a teacher must be both precise and discursive, and that a teacher must keep a keen ear our for cognitive development whilst building sociocultural capacities and knowledge. To say the least, a teacher must be organised with an awareness of selecting suitable content, with a clear conception of learning intentions, and with the ability to determine if intentions are being met and whether such learning is fostering all the attributes that will equip the learner for future learning. A literacy teacher must be "a teacher for all seasons" - so to speak - which is clearly on display in the chapter, "Classroom environments and literacy instruction" that appears in Chall, Jacobs and Baldwin's (1990) book The Reading Crisis: why poor children fall behind. Even though contemporary standards may take exception to the bluntness of the title, the author's observations about the challenges of coordinating a balanced pedagogy are pertinent today. Across the six stages of reading development (Chall, 1996), I have identified three skill domains and six developmental areas to take into consideration. For the purposes of this outline, I present the three "frames" in the current journal entry. It is essential that experienced adults “keep the finger on the pulse” to ensure that younger learners are developing the skills, practices, knowledge, habits and attitudes that are required presently and which will be required in subsequent stages. Learners should have the opportunity to consolidate current skills (that they are expected to complete independently at the current stage) whilst experiencing more advanced skills (that they can complete through the assistance/scaffolding/modelling of an experienced adult). Developing literacy presents certain challenges in remote contexts for a range of reasons; however, these reasons are not insurmountable, though they do present significant obstacles. If I need to start somewhere, I will cite the lack of a literate tradition as one factor to consider. In non-remote contexts, children are exposed to literate behaviour in a range of forms from a very early age. A literate sensibility is reinforced in literate environments. And a literate environment is one which is stacked with literate artefacts (e.g. books, magazines, list on refrigerators) and populated by readers and writers. However, children in remote communities are growing up in environments with few age-appropriate books and fewer role models who exhibit the diverse habits of a literate individual. "I am delighted to be here today to support the UK launch of this year’s Education for All Global Monitoring Report. Its theme, Teaching and Learning: Achieving Quality For All fits well with DFID’s education priorities. The report also rightly reminds us why investing in education is so important for any economy as a whole but also (and more importantly) why it matters for every individual. "Behind this report is 1 simple stark truth. If all girls completed primary school in sub-Saharan Africa and South and West Asia, the number of girls getting married by the age of 15 would fall significantly. Education does indeed transform lives. "In these brief remarks, I want to reflect on what the GMR tells us about DFID’s 3 education priorities, and then outline where more effort is needed to make better and faster progress. ‘Leaving no one behind’ is 1 of DFID’s priorities and this report presents impressive progress over the last 20 years on access to school. Globally there are 51 million more children in primary school today than there were in 1999, and 6 out of 10 countries have now achieved an equal number of girls and boys enrolled in primary school. "These are signs of real improvement which is the result of significant domestic and international investment and effort. Good progress can be made when the world gets behind a simple and compelling message as it has done with the MDG focus on access to primary school. "While we should recognise and celebrate this progress, we know that schooling does not always lead to learning. I don’t think any of us here would be satisfied with a primary school in which our children do not even learn to read and to count after four years in school. It’s the quality of learning achieved for every girl and boy, and not just the length of schooling, which makes education such a valuable investment." "Literacy can be seen as dependent on instruction, with the corollary that quality of instruction is key. Gaining a command of language and literacy over time is the essential bit. In this, I want to keep things simple. The literacy learner acquires alphabetic knowledge. That is, the individual learns that letters are meant to represent sounds, and that these sounds are combined to form words. These words can come to represent aspects or objects in one's environment, experience or imagination. One is better prepared to break a word down into its sounds (or component parts) if the word is familiar to one. So we have a picture in which objects in someone's environment or imagination are connected to words uttered by a person which can be broken down into sounds that can be represented by a written system. And this written system is rule-governed, but one call also argue that the practice of literacy is also rule-governed. Individuals should be motivated by the desire to represent or convey observations about objects, which requires that one to string words together in the form of sentences and propositions. It is essential that the learner is also able to extract meaning from them, as well. In this case, an individual is motivated to report or narrate or recount, and to interpret reports, narratives, recounts, etc. One can imagine a learning experience in which a finite portion of the language is selected that allows one to learn a portion of particular sound patterns, develop a thematic vocabulary, and use this knowledge to read, write and discuss observations in a particular domain.